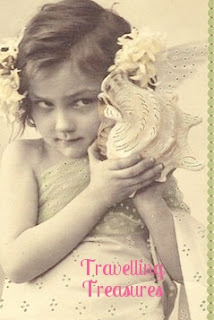 Sweet Little Cottage: Travelling Treasures and A Win for Me! Travelling Treasures visited Debra at OutbackCrafter in June. Debra has chosen what she would like to keep and added some new goodies to the parcel. It is time for Travelling Treasures to travel again and I am so happy to let you know that dear Cheryll at stitchingcubbyhole was chosen by Debra as the latest winner. 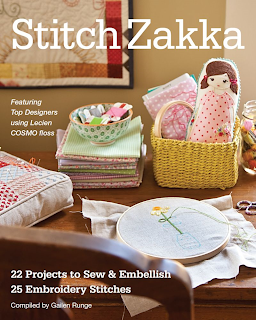 I am loving that sewing machine stitchery! Lucky Cheryll! I am excited to tell you that I am a winner too and the prize is SUPER COOL! 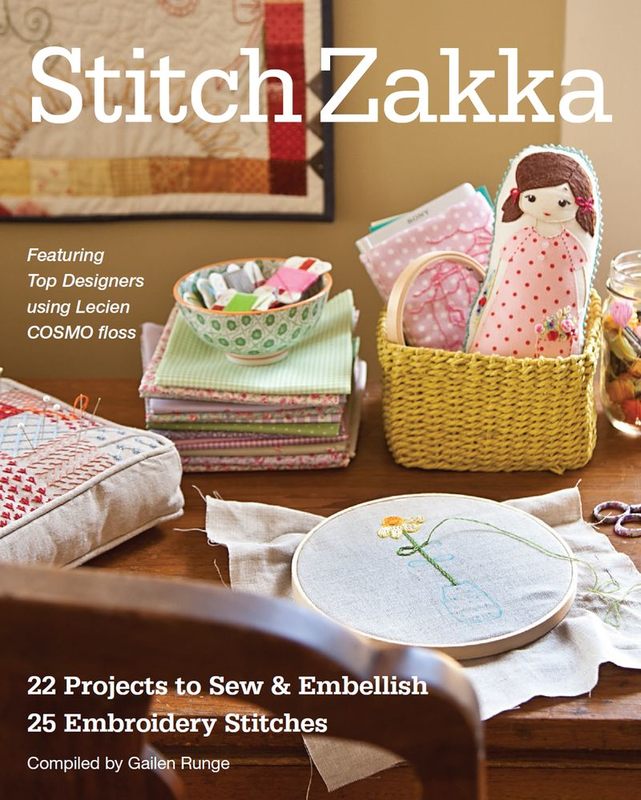 I played along over at Karin's blog leighlaurelstudios by telling about my recent stitching projects for a chance to win this book. I read the blogs of several of the designers who have contributed to this book. I can't wait to have a good look through it. Thank you ever so much for your generous giveaway, Karin! have made lots of binding.....still have to make more today.....bright red!! And a sneak peek at the main gift...did you know that ONE 16 inch block could have 583 pieces?!?! See all those scraps...they are from making the one block. See all those post it notes....they are from all the pieces that took me 2 days just to cut out. LOL! The block has turned out really nice and it was well worth the effort. I can't wait for my partner to get it! Girl 4 is doing well and she has a VERY interesting story which I will share soon. I'm off to stitch now. You will enjoy that book I'm sure... so congrats on YOUR win! Lovely stitcheries too! Congratulations on your book win, it looks a beauty. Have fun stitching the blocks. great win for you, and you have been so busy, lovely stitchery blocks.